While it may not be an age-old question, it is certainly one that we at New Planet Beer get a lot: What is the difference between gluten-free and gluten-reduced beer? Grab a pint and let’s dive in! Also, be sure to check out our sweet new infographic at the bottom of this article. Whether you’re Celiac or unsure if you have a gluten intolerance, the infographic is designed to help you understand a bit more whether gluten-free or gluten-reduced is the right choice for you! Gluten-free beer is brewed with ingredients that are naturally gluten-free, such as millet, sorghum, rice, corn, quinoa, gluten-free oats, and cane sugar. If you’re not sure if a beer is truly gluten-free or not, know that all gluten-free beer labels must adhere to specific FDA standards. Gluten-reduced beer is brewed with traditional ingredients such as barley and rye, which is then given an enzyme that specializes in breaking down the gluten-containing proteins. Gluten-reduced beers are technically called “crafted to remove gluten” and, similar to gluten-free beer’s need to adhere to FDA standards, must adhere to the TTB (Alcohol and Tobacco Tax and Trade Bureau) standards. To obtain a “crafted to remove gluten” label the TTB requires that the beers pass a laboratory test at less than 10 ppm (parts per million) of gluten. When choosing a “crafted to remove gluten” beer, be sure to look for the TTB language on the package (the can or bottle) as there are many breweries that claim their beer is crafted to remove gluten despite it never being tested to TTB standards. The key to brewing gluten-free beers is to start with 100% gluten-free ingredients and to develop a consistent process to eliminate cross contamination. As far as the actual brewing process is concerned, ensuring that your equipment is absolutely clean is an essential step for creating gluten-free beers. Cross contamination from gluten grains can completely ruin a gluten-free batch. That’s why at New Planet we only brew gluten-free beers after a scheduled CIP (clean in place) of the equipment and a deep clean of the surrounding areas. This way, we can ensure our equipment is 100% clean and free from possible gluten contaminants. No matter where you fall on the gluten-free or gluten-reduced spectrum, there is promising news: more and more breweries are seeing the opportunity that these beers present. As more people begin to ask about what’s in their beer, breweries are adapting and making tasty brews with this market in mind. For you, this means more choices will be available for you to drink gluten-free or gluten-reduced beers. Below, explore our helpful new infographic to get a better understanding of whether gluten-free or gluten-reduced beer is best for you. If you’ve already been diagnosed Celiac, the answer for you is simple: Drink gluten-free beer! For those of you who haven’t been diagnosed Celiac, a few options exist for you. If you have already tried gluten-reduced beer and you still react to it, it is best that you stick to gluten-free beer altogether. Afterall, a beer is only good if you enjoy it during and after! Lastly, if you’ve had both gluten-free and gluten-reduced beer, and the gluten-reduced beer doesn’t seem to give you any issues, we’ve got good news for you: drink both gluten-free and gluten-reduced brews! At New Planet Beer, we’re proud to be brewing gluten-free and gluten-reduced beer. Not a group to settle, we continually improve our recipes to give you the highest quality beer that fits your dietary needs and your wallet. 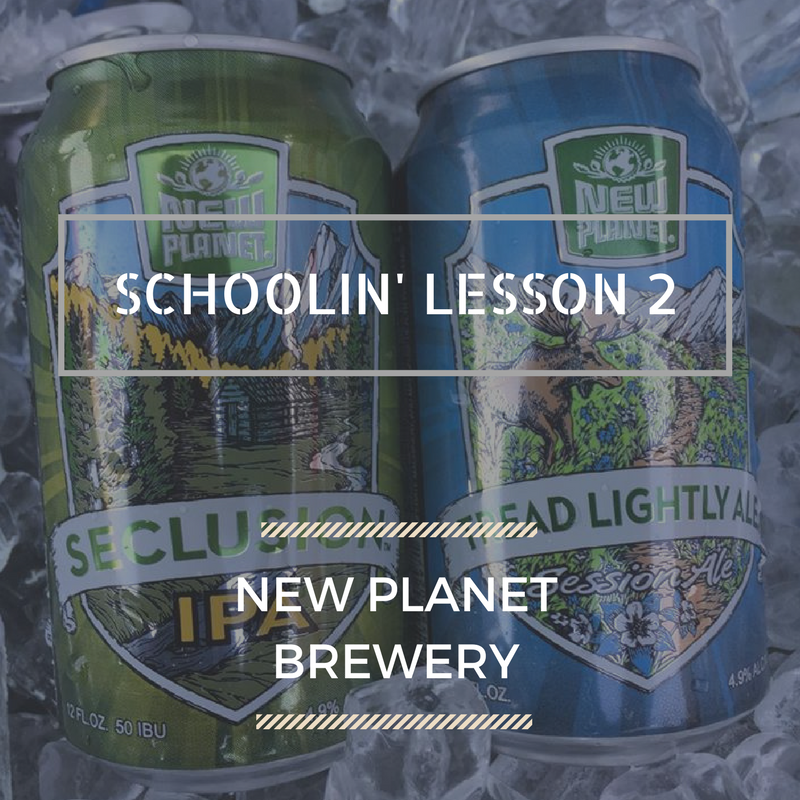 So, next time you’re in your local liquor store and reach for a gluten-free or gluten-reduced beer, check the packaging so you see what we’re talking about…and keep supporting your local brewers by picking up a New Planet six pack for your next adventure.